Originally this post was one long post, but I decided to cut it up into more manageable parts. This is the evaluation part. 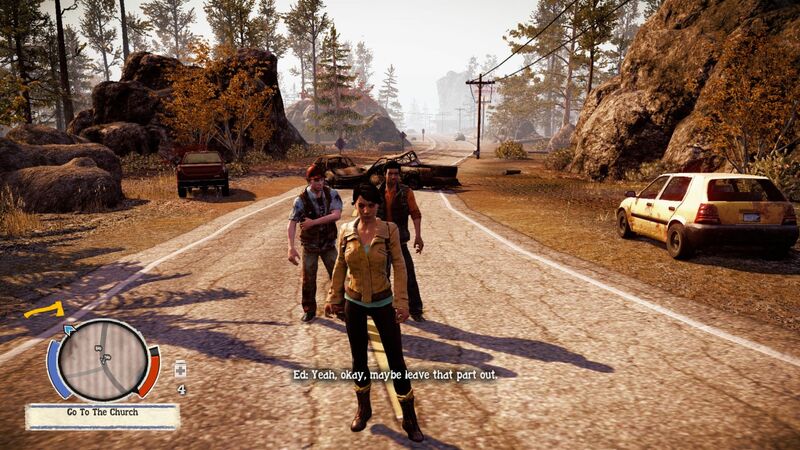 Someone from Undead Labs requested to not review their early release of their game State of Decay for PC. An odd request because the game has already been out for over three months on the Xbox and one wonders what could be so different between the two releases that merits this request? It is not like they are going to radically alter the game in a few months time. More likely they are just ironing out some issues that a port from xbox to pc will have and tweak it a bit here and there and then release it to the market. Time is money. Especially for a game that is going for 20 dollars a piece. But I will humor the guys at Undead Lab and not make a review. Personally I don’t like reviews anyway as I just want to rant a bit and most of all remark on some things that helps you a bit getting around. Things about which you might have said: if I had known that before I would not have been torn to ribbons by flesh eating zombies so often. Flesh eating zombies? Did you say… zombies? 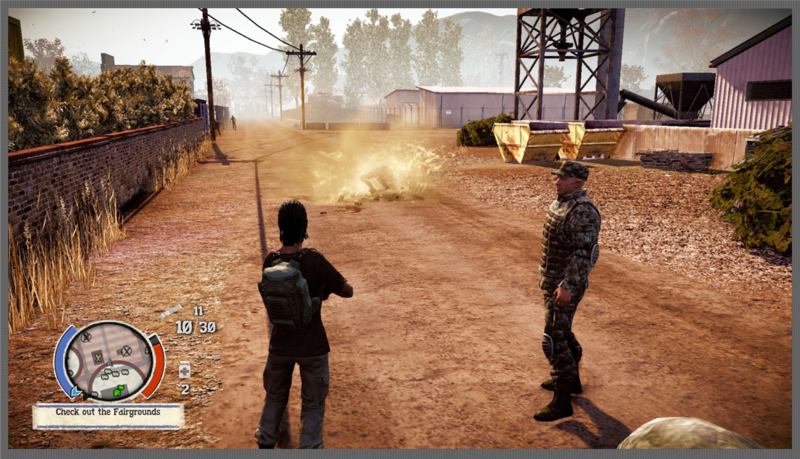 Yes, it is another of those zombie apocalypse games, but it has a few things that make this game interesting unlike some of those others. 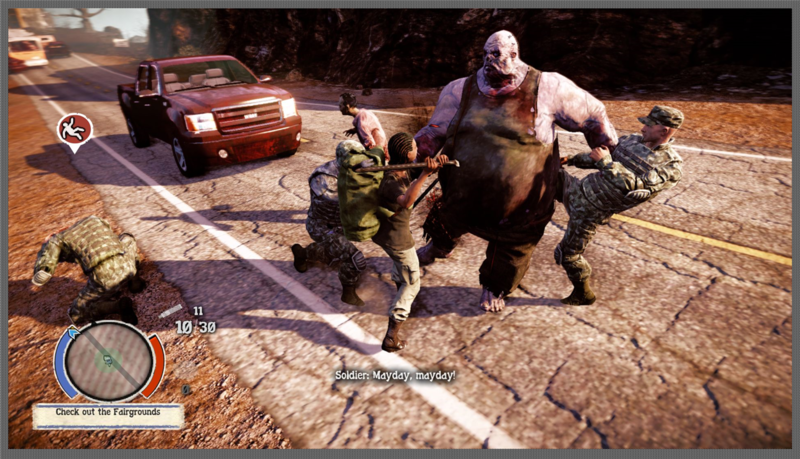 But first let us see one zombie in action… A big one called a Big Uns or Juggernaut. And the girl with the dread locks is Sam trying to down a one with the aid of three soldiers. Have at you, you… you… you ugly big person! Well.. he did not take that very well.. and neither did Sam.. Her life(vitality) just dropped by 50%. 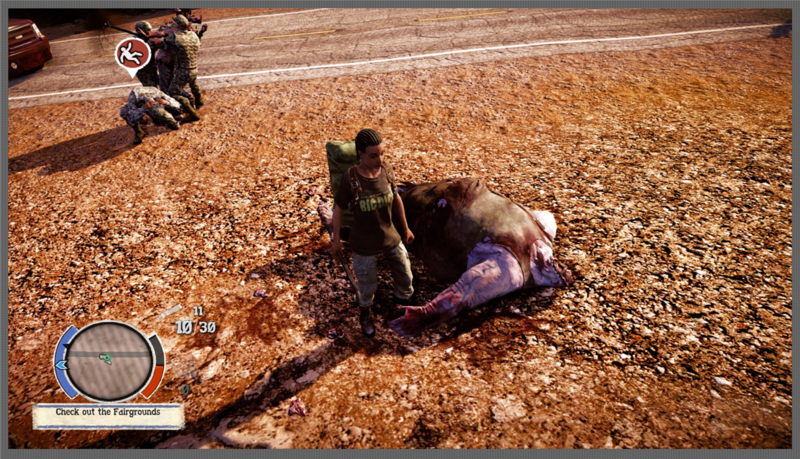 Fat luck for fattie though.. he gets clubbed to death by the army. 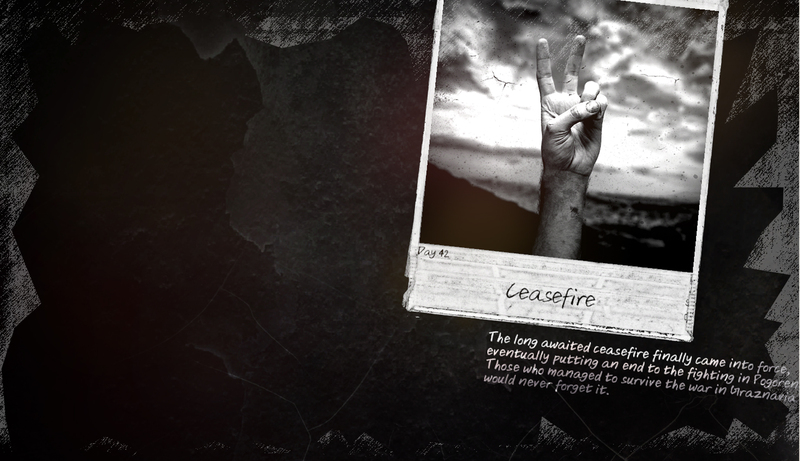 That was the last of him. No zombie messes with Sam and the army. Notice the bag Sam is holding? 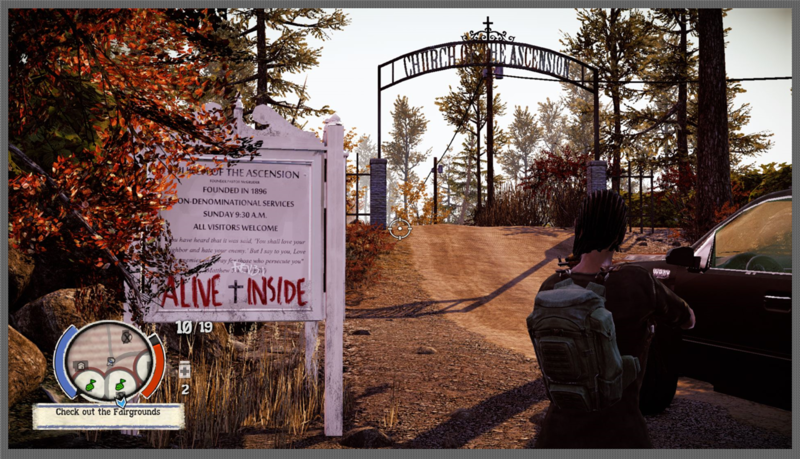 It is called a rucksack and that contains resources with which you run the base where your community of survivors are trying to get by. It is the reason you actually have to get out and expose yourself to danger.. well one of those reasons. 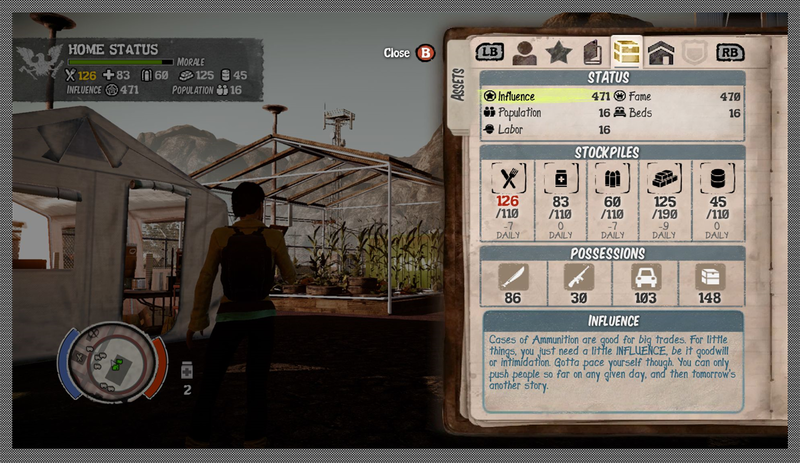 State of Decay is a game where you lead a ragtag collection of zombie apocalypse survivors until you decide to flee the place after which the story basically ends. 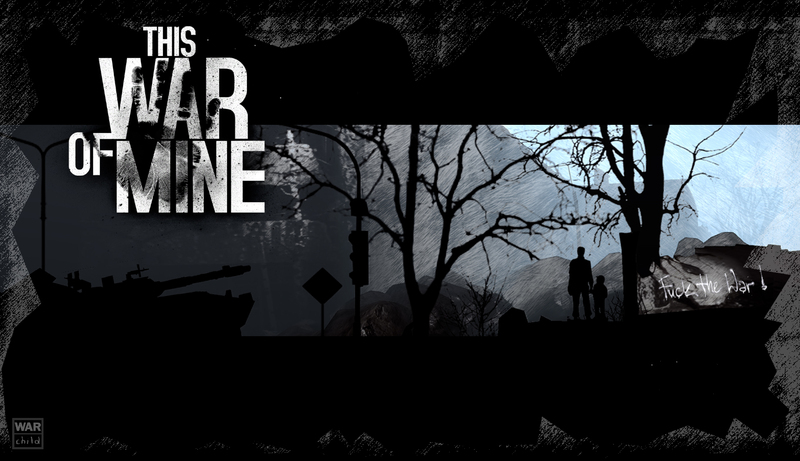 Although you are free to continue the game afterward, there will be no further developments. 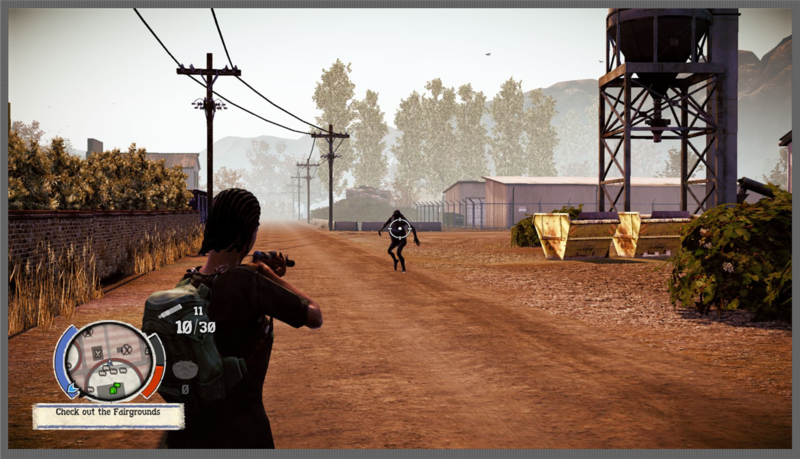 In the game you gather and lead that group of survivors, set up a makeshift base and do some scavenging, random missions and plot based missions to get by. 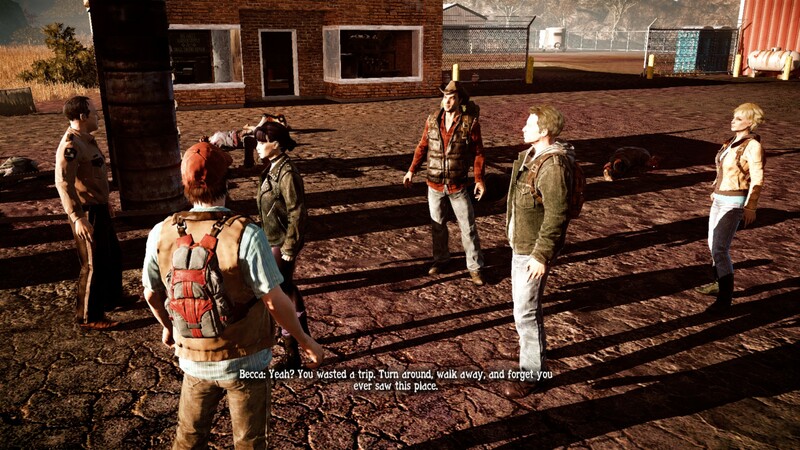 During all of this you have to deal with zombies of all kinds, scrounge around to replenish those ever dwindling supplies, keep the moral up and bail people out of (zombie related) trouble. You are actually not one person, but a group of persons. 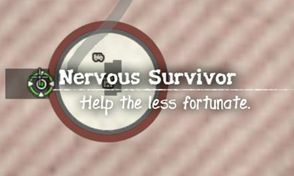 At first that part of your group of survivors that have a friend status. Eventually that will be everyone in your community, but at first you can only play Marcus and Maya. 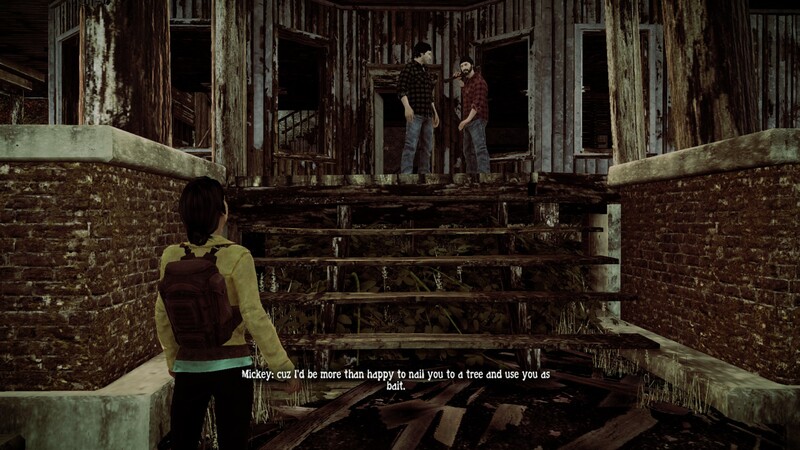 Maya joins Marcus already in the introduction part of the game, so you basically start out with two characters. But you will find that your community will quickly grow in size for better or worse, for more people means more mouths to feed and more beds to fill. On the other hand, more people increases the chance of having one with that special skill that makes the garden grown more food or that can turn a workshop into a munitions shop. But regardless of anything: your supplies keep fading away. In a fortnight(real time) most of it is gone. Lucky you can end the game before you run dry. You could of course stave of the end by having some of your lesser members ‘accidentally’ killed but I sort of don’t like that. Marelee Melissa consulting her ipad(?) containing an overview of all her fellow members. Some are tired. Eventually you end up with something like this place: the Snyders Trucking Warehouse. Maya consulting the state of the home base. See my greenhouse in the back and to the left is the cooking area. Trumbull Valley.. that is where you at. Notice the little green symbols? They represent my homebase and all my outposts. 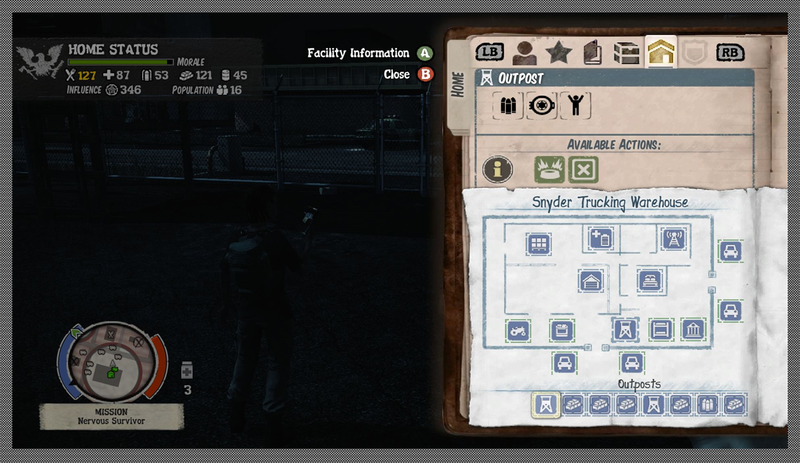 The Snyders Trucking Warehouse can have eight outposts. 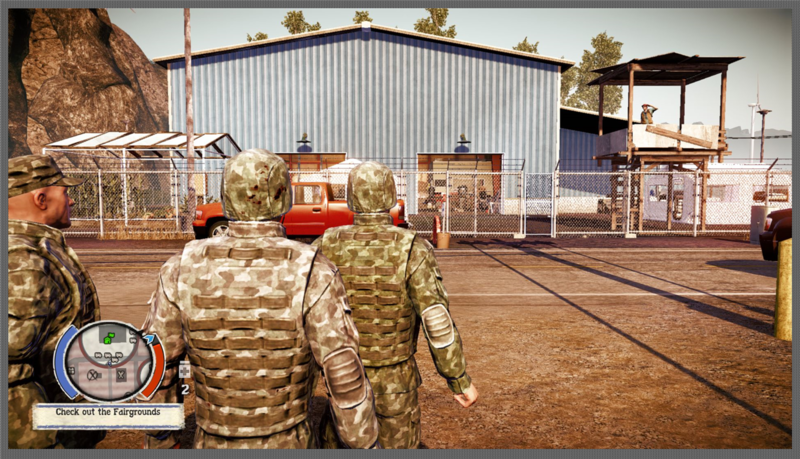 A more detailed look of the warehouse..that is the green top left one: a small house with a green flag. 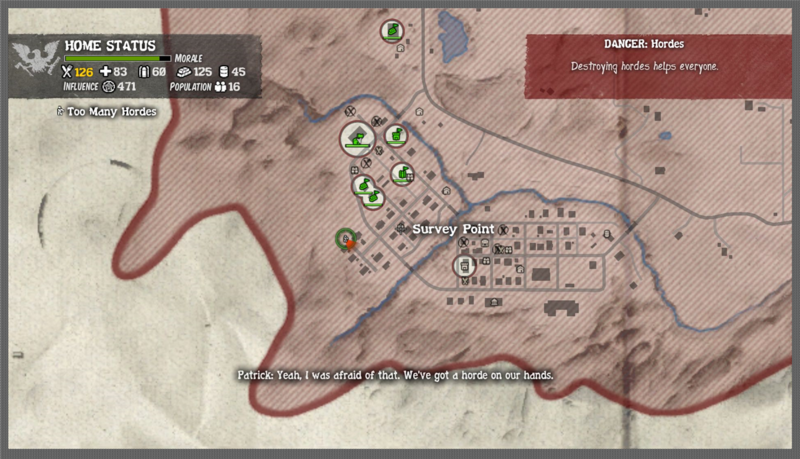 The approaches are covered by outposts.Outposts are small bases that act as a resupply area, generate a resource, kill of hordes that wander into their zones of control and keep zombies from spawning in the area. 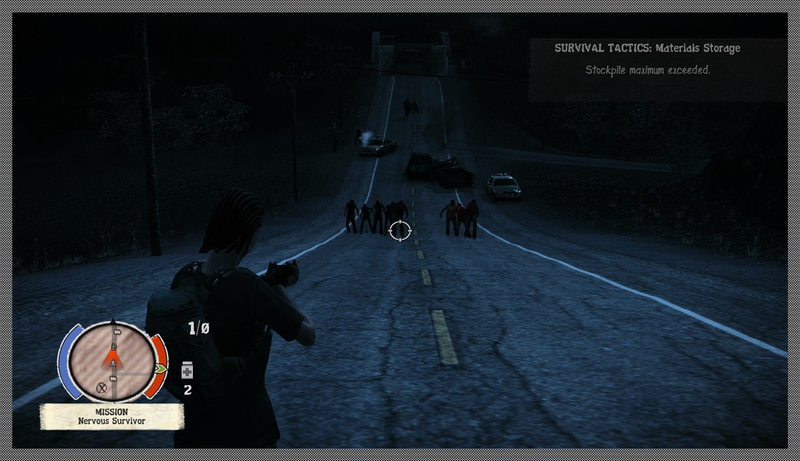 Oh Noes, a horde of zombies is on the loose..lets get them before they get killed off by the outposts. Hordes are at first very dangerous but in the end your best warriors wipe them out in no time. Something you probably want to do yourself because killing the hordes endangering your home base actually increase influence, moral and even fame but if your outposts destroy them it only increases moral. 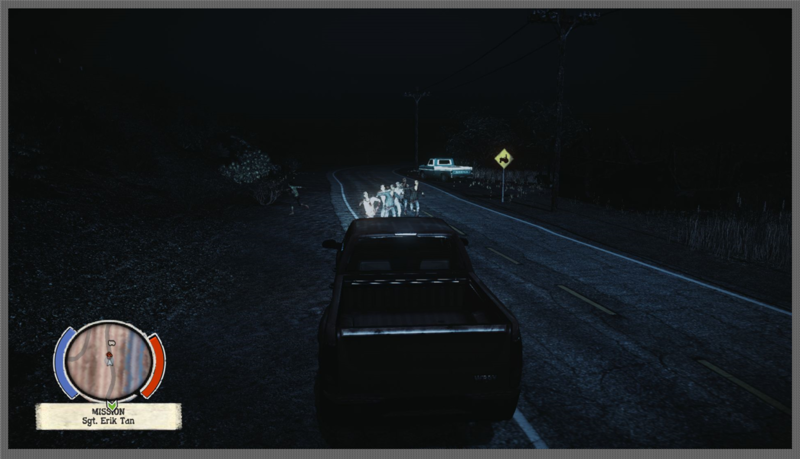 A horde streaming towards my car.. cars are zombie magnets. 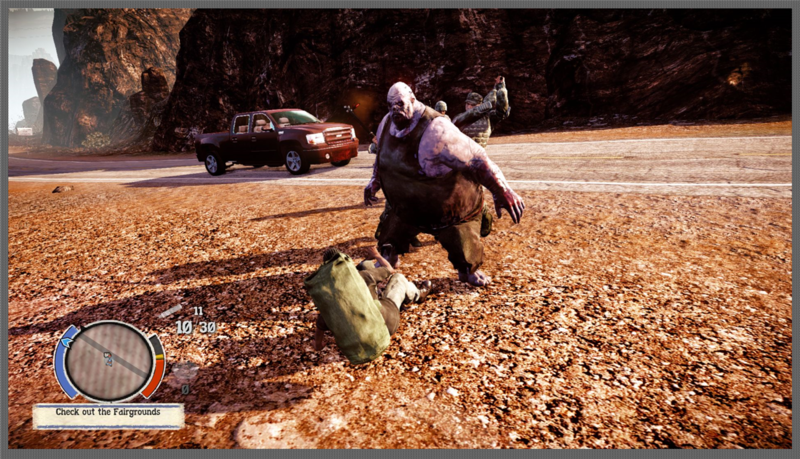 Unfortunately an outpost does nothing against individual zombies wandering into the area.. Like this rotter zombie. Well.. Sam did not get that one, the guy on the platform behind her was quicker on the trigger. Another pastime is infestation cleaning. 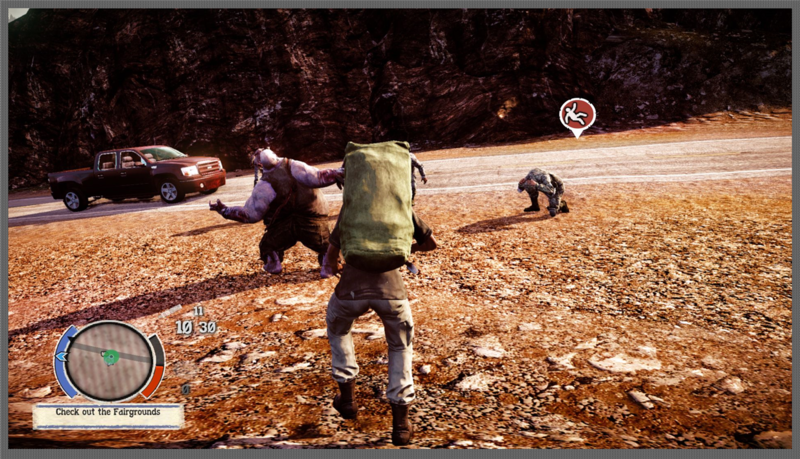 Here Marcus is facing of a few zombies with a companion. The most annoying zombies are screamers, they scream when you close with them and their screams stun you and attracts other zombies from all around. 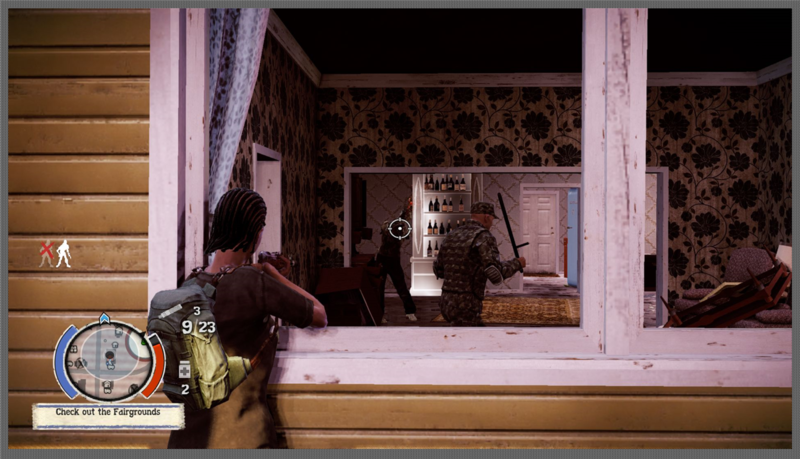 Shooting them in the head from a distance is an option, especially when you got a silencer. Throwing a molotov cocktail at them is another option. 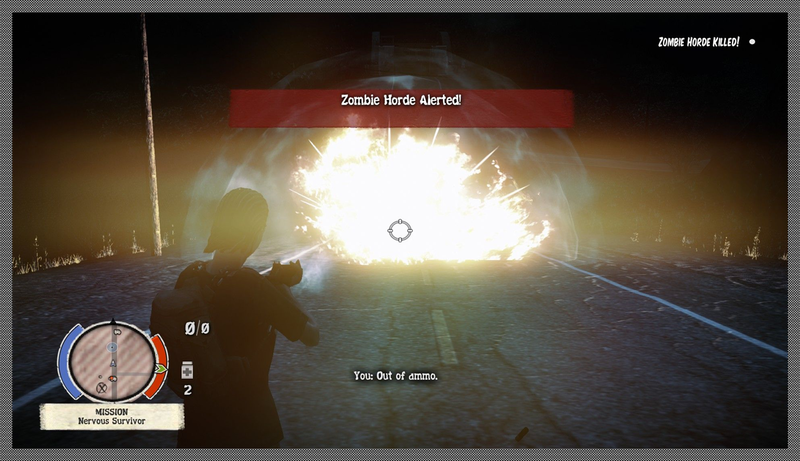 Or.. another fun way is blowing them to smithereens with a grenade launcher. 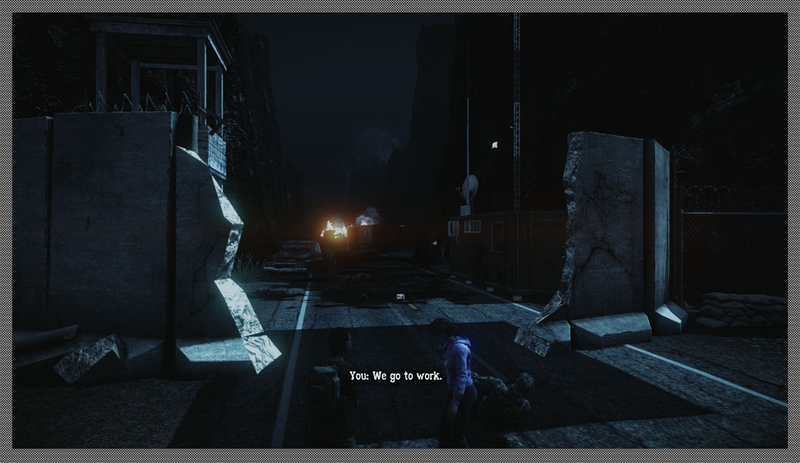 So that is the game down to the bare bones: resource gathering, crew running and zombie killing until the story ends. 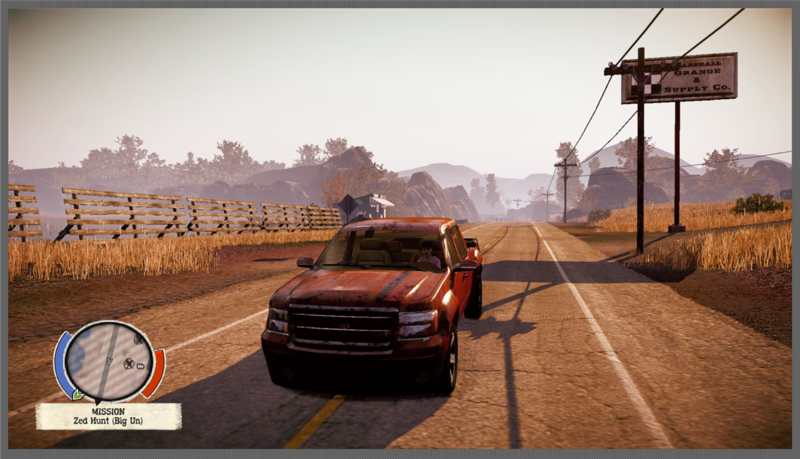 State of Decay is classed as an Indie game. Indie is a buzzword nowadays and often covers companies that are as far away from the original sense of the word(independent) as mainstream companies are. A certain development among the games development world is to have new ideas developed by outsiders so that when all fails they do not financially bring down the house of mainstream developers. 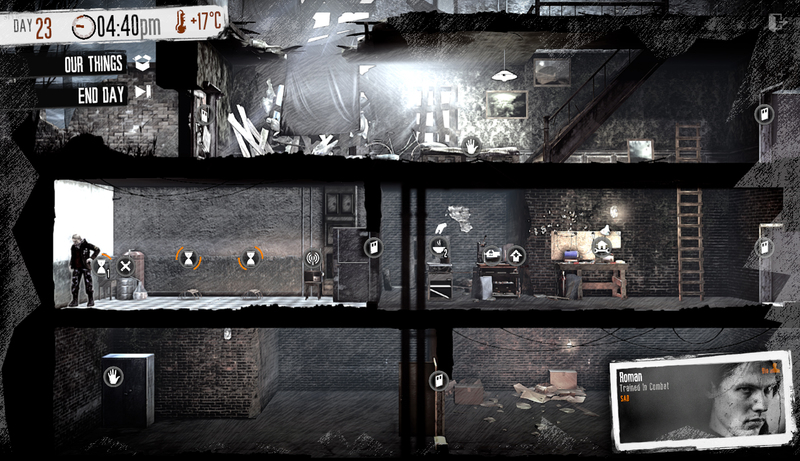 It is probably also used partly as an excuse to generate sympathy for crappy low budget games. Undead Labs are actually in business with Microsoft Studios and you know who they are. 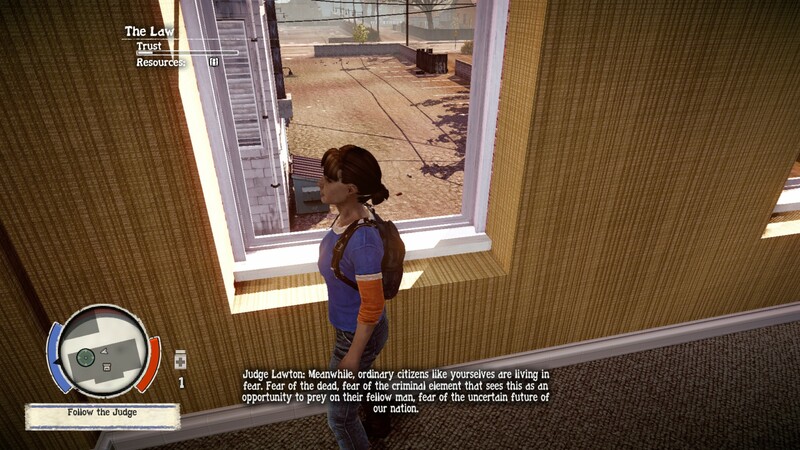 It is Microsoft jumping on the indie bandwagon. Is that bad? Well, I do not know, but do not be fooled by that word. This is not some zombie fanboy coding into the wee hours in his shed. These are professional programmers of the kind that used to work for Microsoft Studios, and they still work for it, but on paper they are no longer part of it. So how about the game? 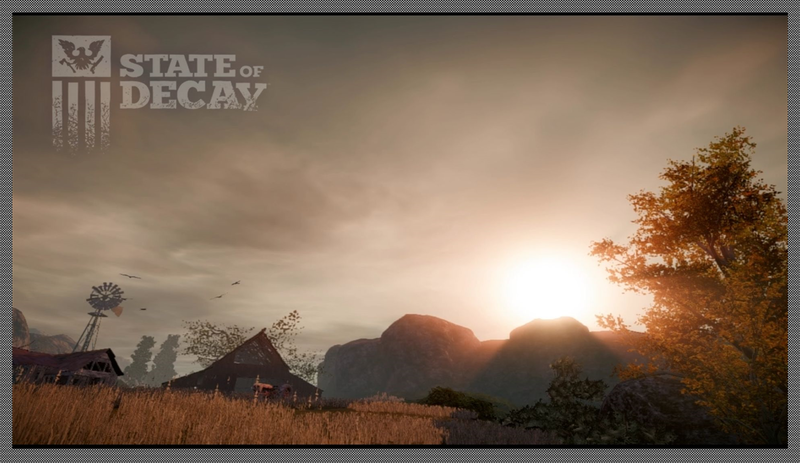 If I was to compare State of Decay to a meal, then I would say that it managed to get most of the basic ingredients into a right mix to make a decent meal, but there are no extras on the side. 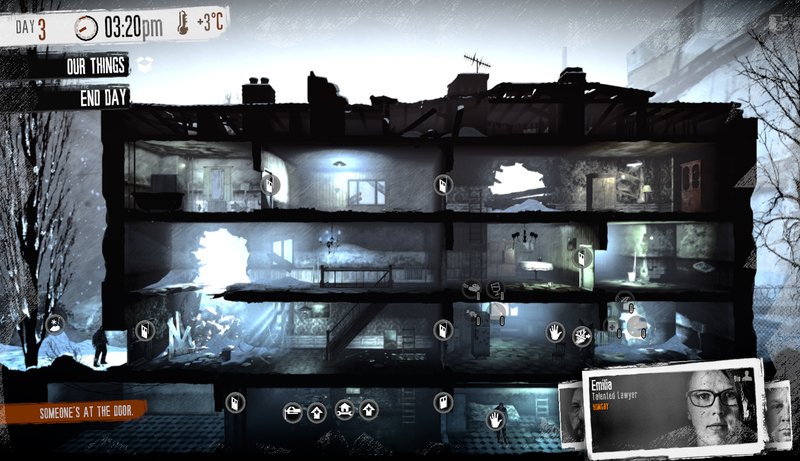 The game gives you command of a group of survivors and a base of operations that needs protection. 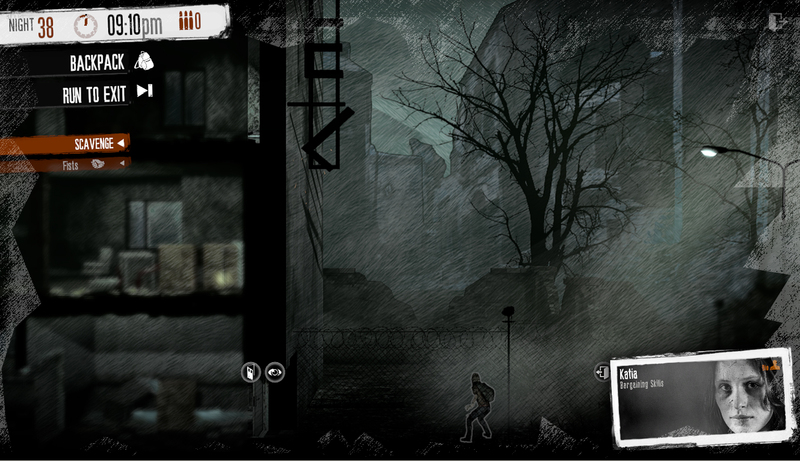 You then get a few excuses to go around massacring scores of undead, but that is basically all that there is to it. There is hardly any story there and the many painful and revealing moments that one sees in movies or stories are only casually referred to. The whole plot is as thin as it can be and the thirty plot related missions are often something like: drive to a person and hear what he has to say. 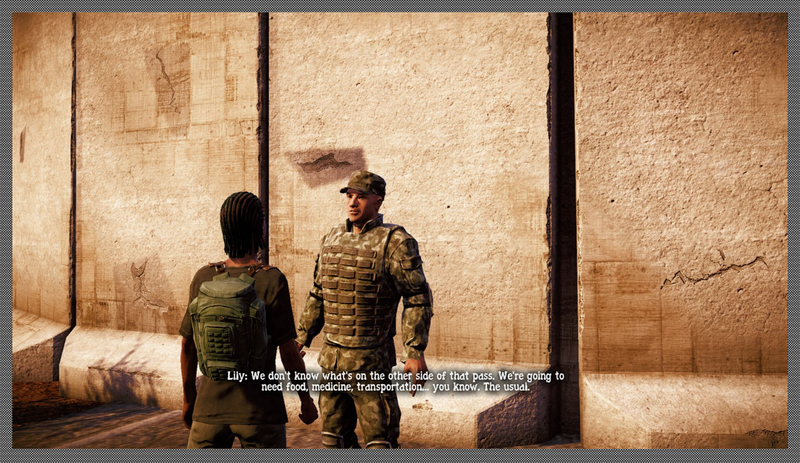 You then get delivered a few lines of voiced text in which you have no options but to listen and your chosen avatar of the moment will be scripted to agree to do what is being asked. 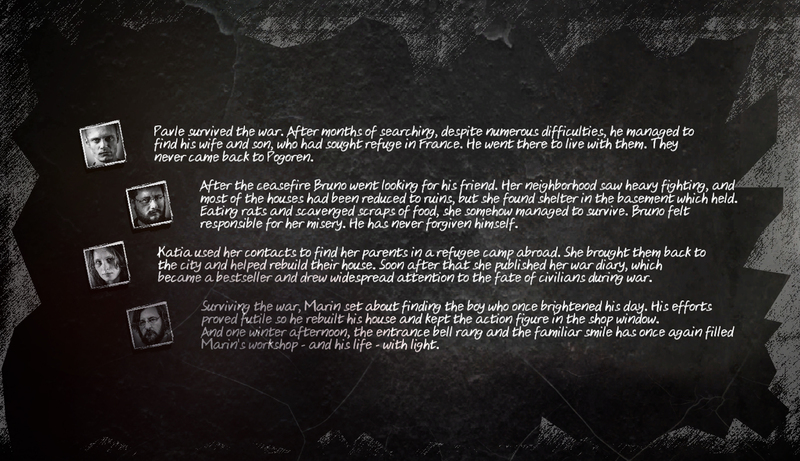 Only once will two different plot lines interact and you faced with a moral decision. 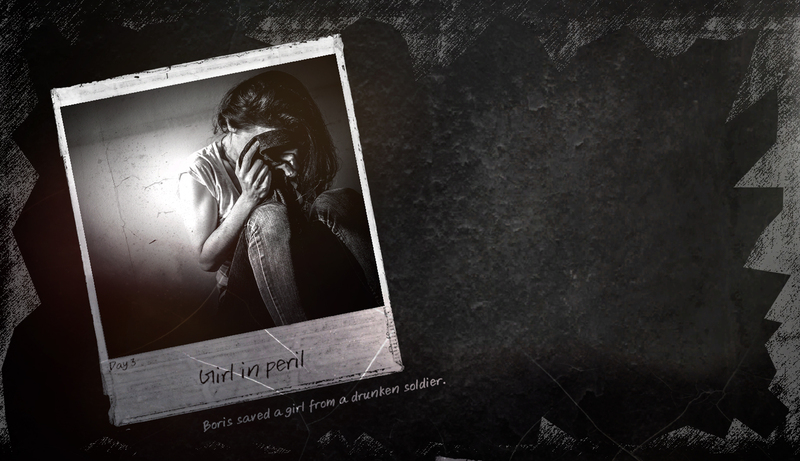 This is not a roleplay game with heartbreaking decisions to any degree. 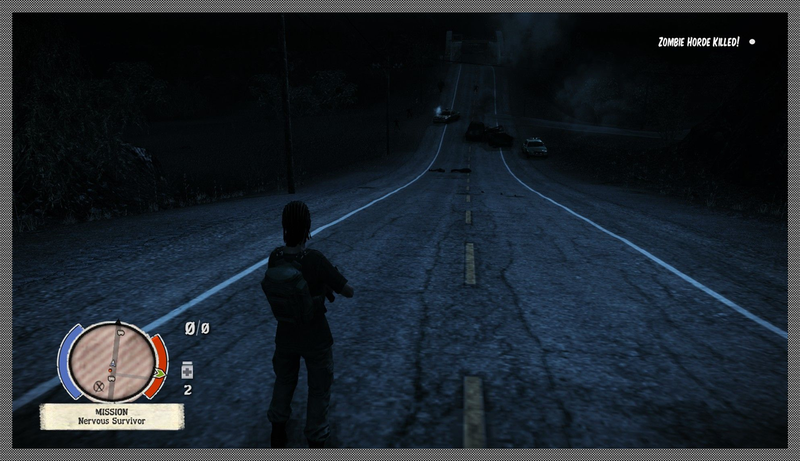 Random missions are generally of three kinds: go someplace and kill something, drive to a place and save someone from being killed or go there to trade and protect the trader(s). The homebase you get can be established and provided with facilities. A few can be upgraded once, some twice. 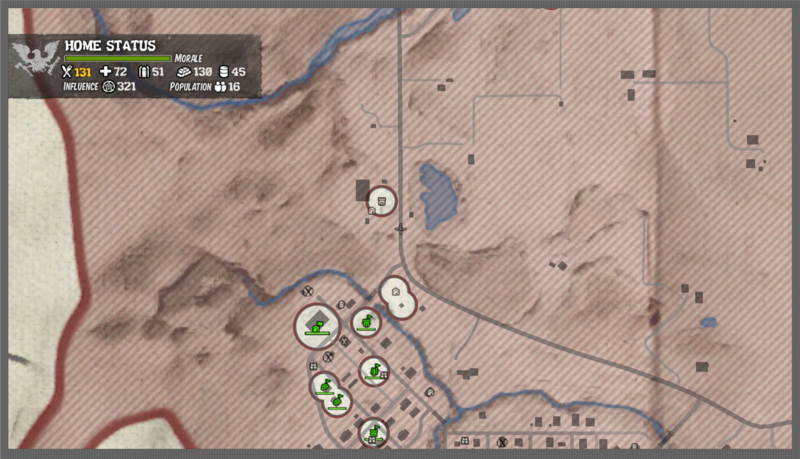 There are like eight home bases available in the game. That sounds like much, but down to earth there are actually only two that make any sense: McReady Farmhouse and Snyders Trucking Warehouse. All the others are actually too small and the only other big one, the Trumbull County Fairgrounds becomes only available (too) late in the game and would require to hold back upgrading facilities until you can move into it. 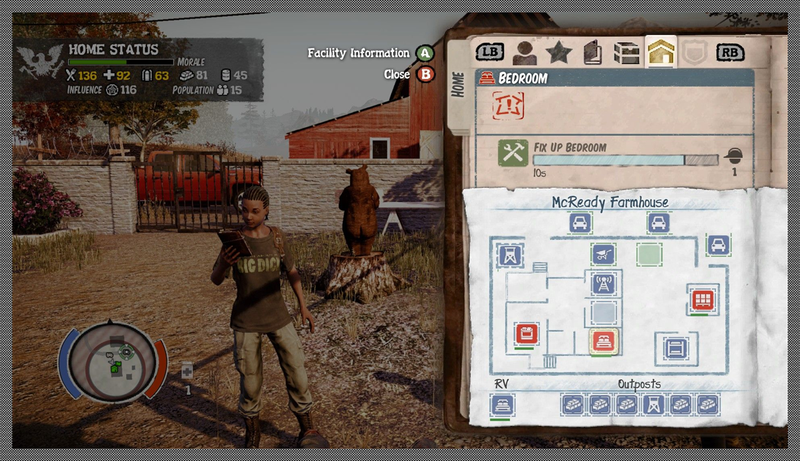 You will find however that you want to upgrade your home base as soon as possible and you will be done upgrading mid game. Hence moving to a new base to start again from scratch is hardly an option and would required a lot of extra materials. Mid game I found myself actually staring at the clock wondering when the next plot related mission will become available. There is just so much fun in clubbing countless undead hordes to death, especially when it does not matter that you do. There seems to be a certain randomness in when plot related missions become available. 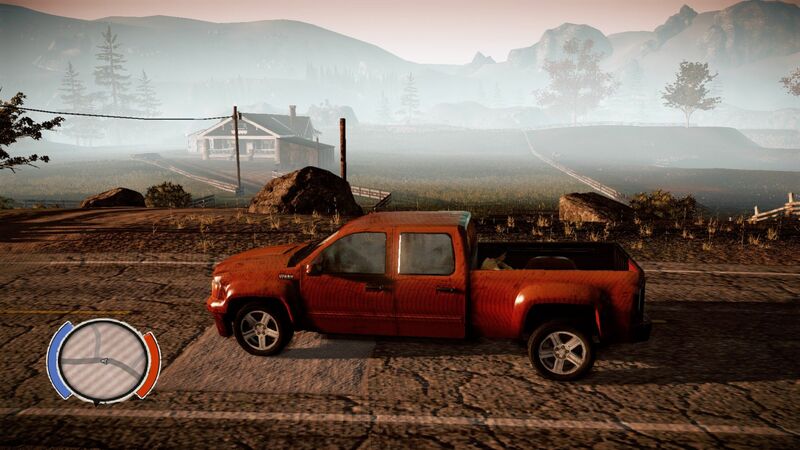 In my second playthrough there were already events happening in Marshall while I still had no option to move my homebase.This required me to drive around up and down the map. 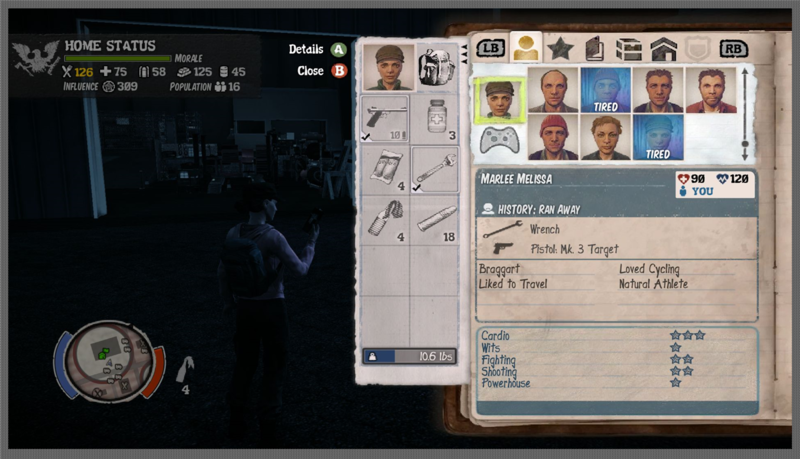 In the first playthrough these events did not happen until I had established a home base at the trucking warehouse. It is part of the deal, but once you are staring at the clock you rather wished the game would get a move on. 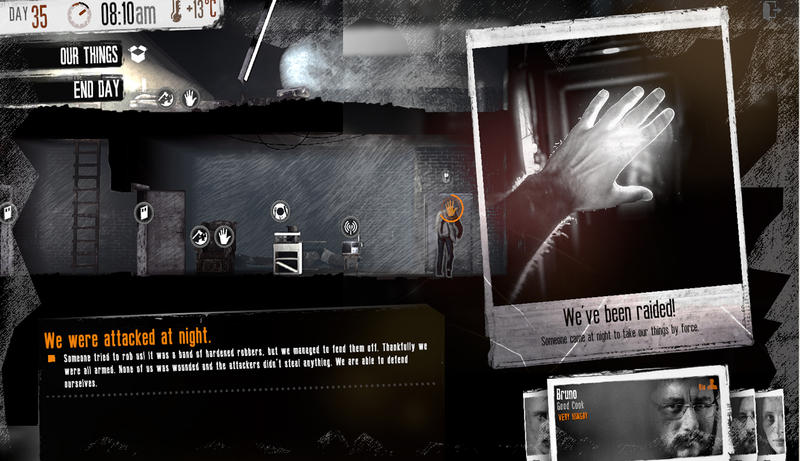 One of the issues with the game is that much of the fear and uncertainty that are part of a horror experience is taken away by providing us with too much information. And the radar provides us with an early warning system. 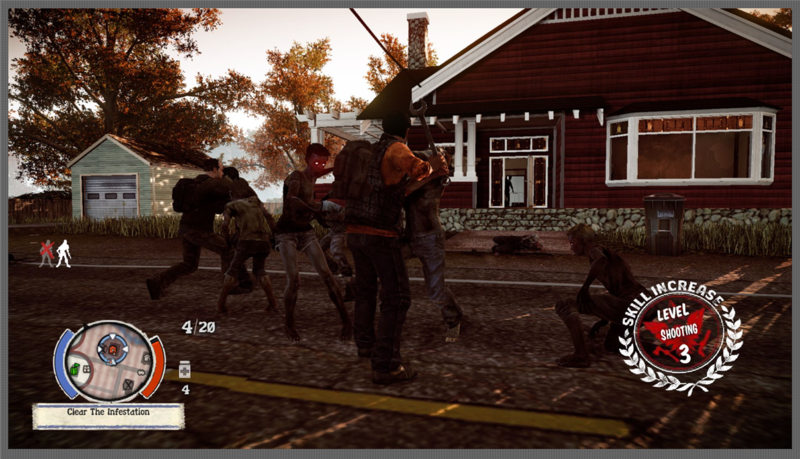 While not every zombie will show up in the radar it will inform us about the ones that have noted us: they turn red. And we have no fear of the horde seeing us the arc of vision(?) is pointing away. How convenient. And when zombie hordes are threatening our home base we are often neatly informed about it. 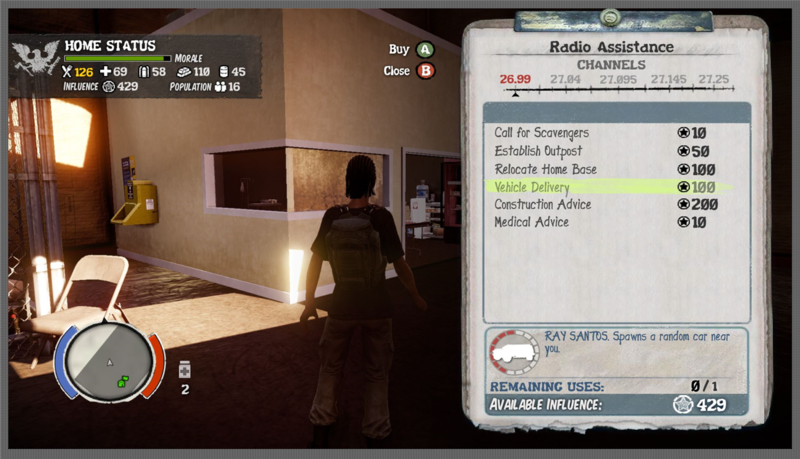 We have a direct line with Lily over the radio so at any time we can open the map or look at the state of the home base. In addition the game almost lacks humor. 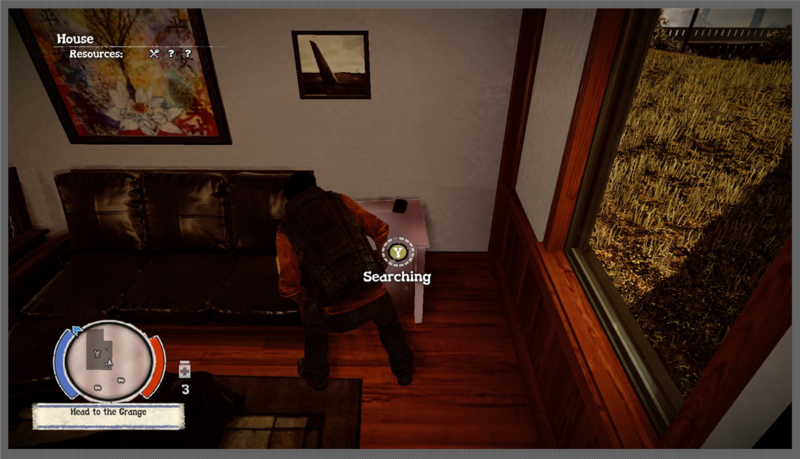 For instance; one would have thought that the game would have added a chainsaw for laughs. A noisy heavy zombie killer that kills undead by scores but attracts them by the scores as well, but there is no such thing. Nor are there zombies dressed up as Bozo the Clown. I would have expected at least one at the fairgrounds… but no dice. Erik Tan is about the only one who sort tries to crack a joke, albeit mostly sarcastic and cynical ones. Most of what is in the game is basic. 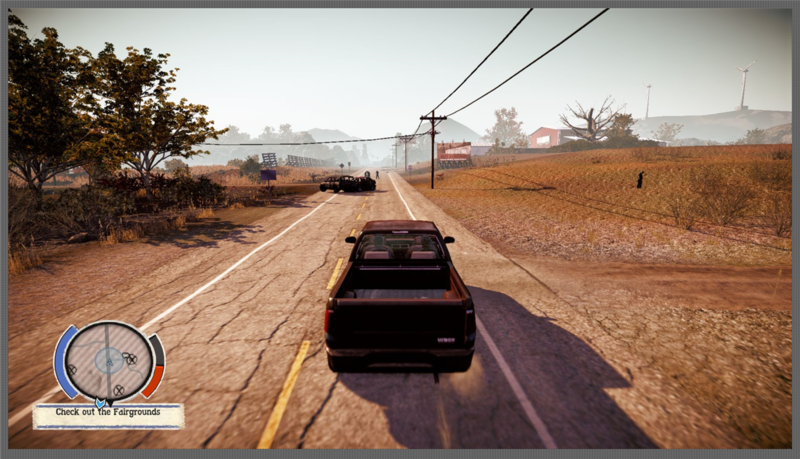 For instance the modern pickup comes in two colored versions.. that is about it. 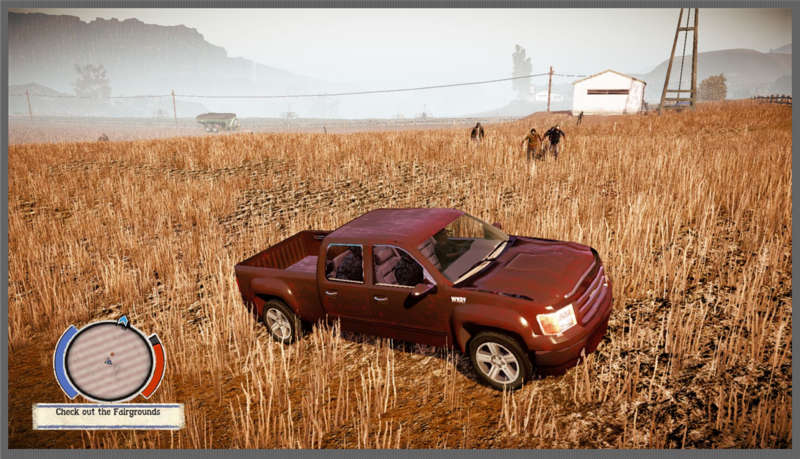 You can not tweak cars or weapons. One seriously lack is being unable to influence other survivor colonies. They will show a trust bar, suggesting you can recruit them if they fully trust you, but except when they offer you a random mission(usually not more then twice) there is no way to increase their trust. In fact it looks like that was never meant to be and the trust bar is a relation towards how much you pay for buying items from them, strangely enough some do not even have items to sell. After a while most of these colonies disappear because they are overrun by hordes, except when they are required for the plot. 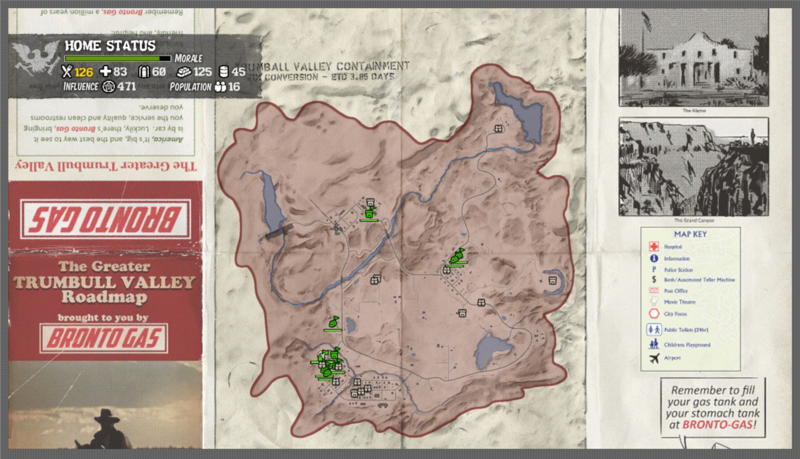 I tried to save one of these location by surrounding it with outposts, which went well when I was playing, but when I logged in the next day it was gone anyway. 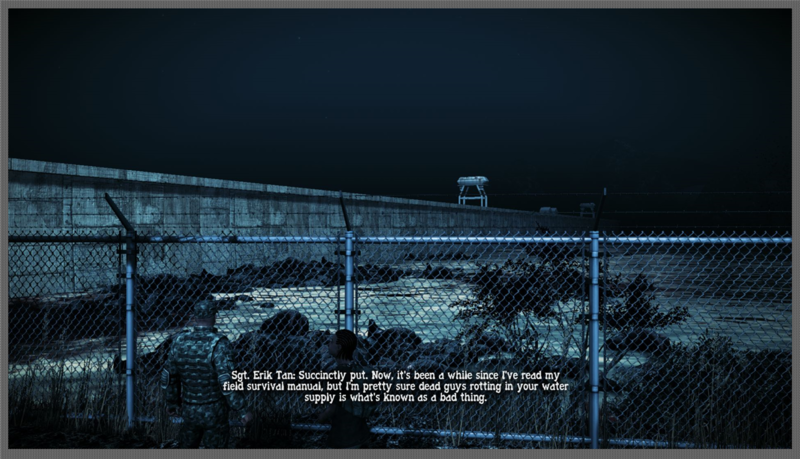 , but really limited as the flimsy main story will play out the same way as it has done before and end in the same way. Confession time: Erik tells me about his neglect to read the field manual.. the shame! 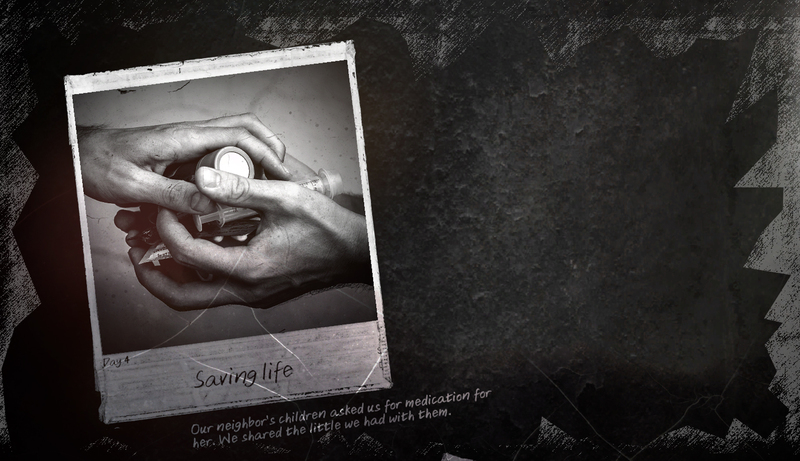 And the game ends quite unresolved… you never know when you need a sequel.